With so much global focus and attention on CBD, it’s easy to forget that cannabidiol (CBD) is just one of dozens of cannabinoids. 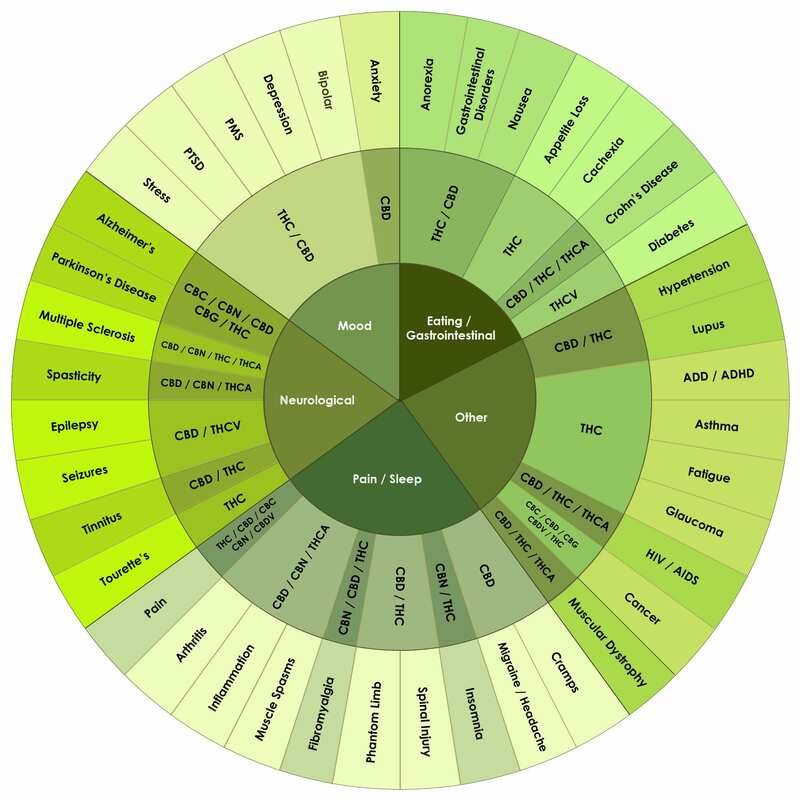 In fact, to date, there are over 80 known cannabinoids naturally occurring cannabis. Some of these molecules have their own healthful properties, while others act in similar fashions to cannabidiol. Regardless, when a product lists “full spectrum” as its make up, it’s a promise that these other players will enhance the therapeutic benefits of the concoction. So what are these “other” cannabinoids and why should we care? It’s not just CBD that has healthful properties, although it is the most diverse. After CBD, the most prolific classical phytocannabinoid is cannabigerol, better known as CBG. CBG, as researchers are finding, is in itself a formidable appetite stimulant, neuorprotectant (especially with Huntington’s disease), as well as treatment for IBS. Like CBD, CBG is regarded as “well tolerated” with a minimal side effects. The second most interesting secondary cannabinoid just may be cannabichromene, or CBC. While clinical studies have only confirmed a few traits of it, it packs a punch with its known attributes. Particularly its anti-inflammatory properties. Since CBC shares traits with CBD, a full spectrum extraction featuring the two packs a 1-2 punch when combating the many inflammation based diseases such as rheumatoid arthritis, Crohn’s disease, and Alzheimer’s. Additionally, researchers are studying CBC for it’s antimicrobial and anti-fungal properties. Taking the bronze metal for most formidable secondary cannabinoid certainly goes to cannabinol, or CBN. Surprisingly enough, isolation of the CBN molecule predates the isolation of CBD. In the 1930’s, researchers successfully isolated CBN, who ascertained that its presence comes largely as a result of aging cannabis. 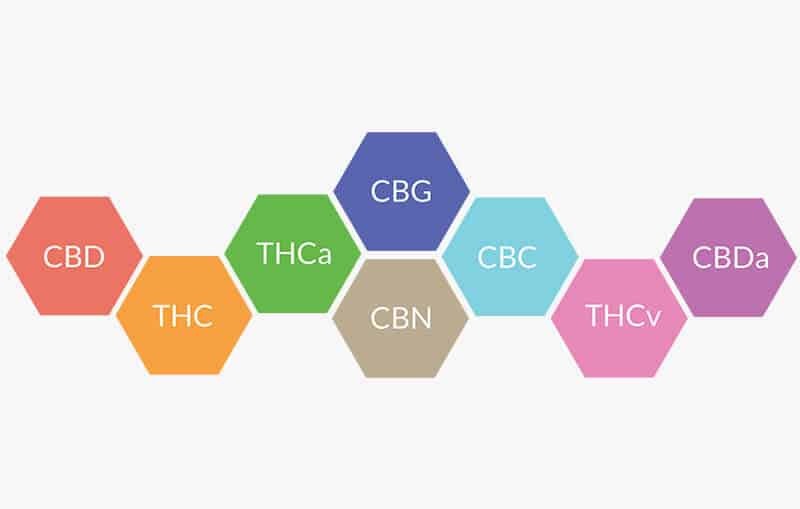 The majority of study around CBN focuses on its synergistic capabilities when paired with THC. To its own claim to fame, clinical studies on mice show CBN is a very promising treatment when combating tumors. This is just the tip of the iceberg. Full spectrum products, depending on the extraction method, may contain the complete collection of 80+ cannabinoids. This is in addition to the handful of naturally occurring terpenes with their own therapeutic properties outside the cannabis plant. True, full spectrum products may cost a little extra due to the delicate nature of the extraction process. Keeping that many precious molecules in tact is not an easy feat. However, we feel (and research shows) that the added cannabinoids means an added healthful benefit. This entry was posted in Uncategorized and tagged cannabichromene, cannabidiol, cannabinol, cannabis, cbc, cbd, cbn, full spectrum, hemp, industrial hemp, legal, research.